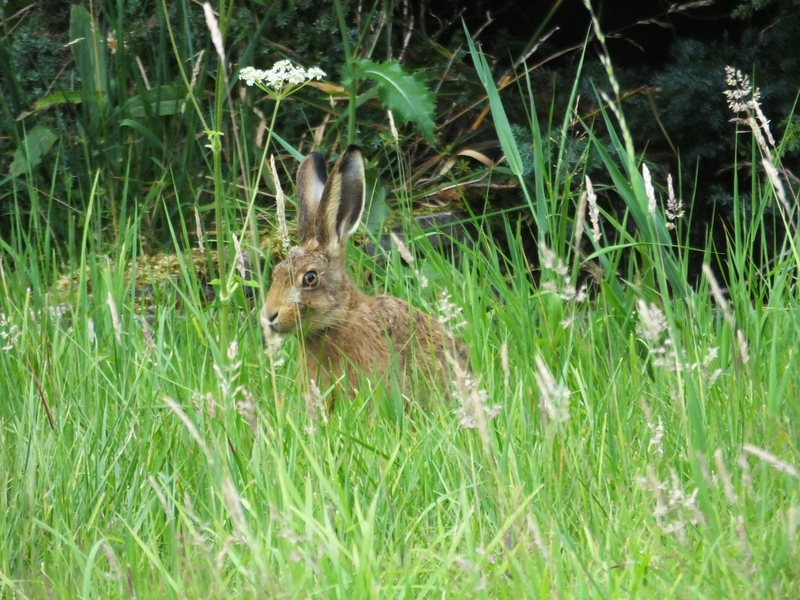 The recent Hili dialogue items on hares (30th & 31st of July) encourages me to think that you might be interested in these photos in my garden. The bad news is that a few weeks ago I wrenched my back and have not been able to mow my lawn. 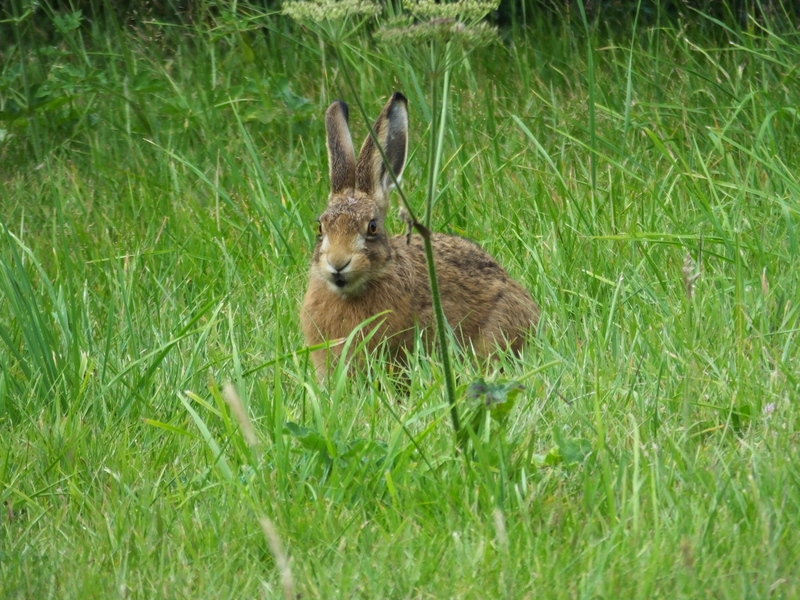 The good news is that my unkempt lawn has become an oasis for European brown hares (Lepus europaeus), especially since the surrounding fields have been mown to make hay. 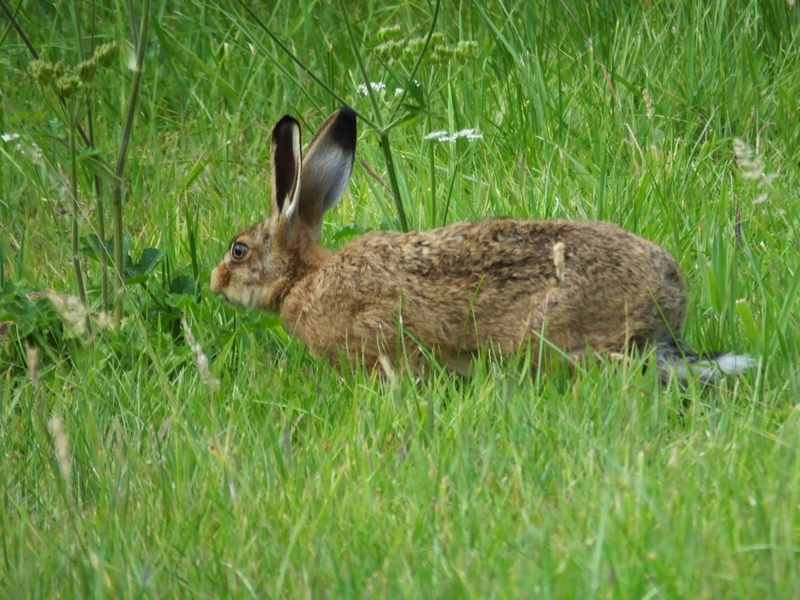 I have read that normally hares are shy and nocturnal, but I believe that the lush food on my lawn is too tempting to ignore, and the short summer nights in Scotland might force a temporary change to more diurnal habits. I have seen several leverets (young born earlier this year), and a couple of days ago one stayed long enough for me to get my camera. 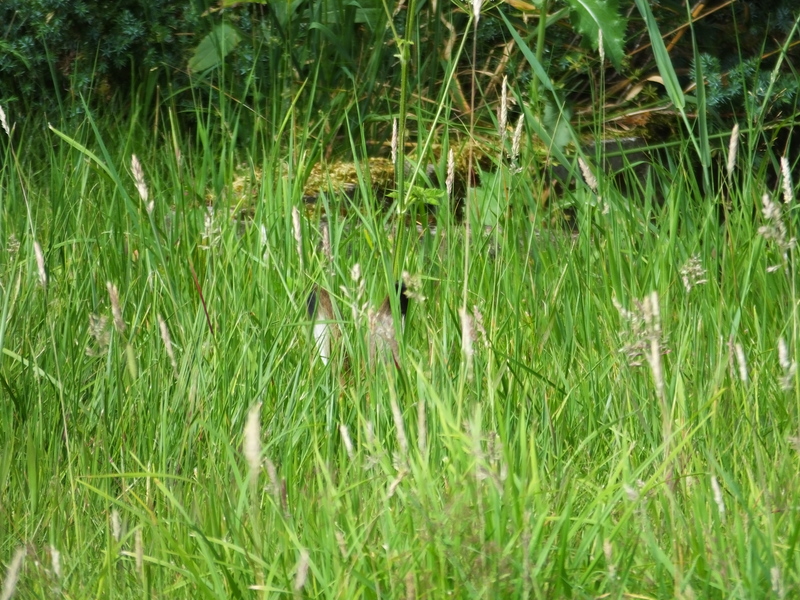 At first it hid in the grass, occasionally deploying its ears to check for trouble; it was obviously aware of me only twenty metres away. It slowly decided that I was harmless, and the photos, in time order, taken over a couple of hours, show this. 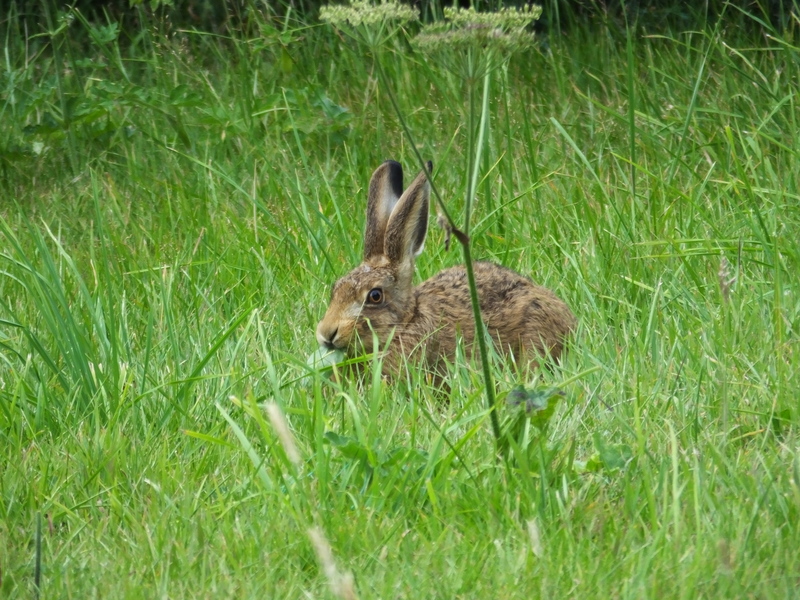 Photo #1 is typical of how one can first spot hares: those characteristic ears just showing above the grass. In #2 the ears are flattened and less prominent as it cautiously raises its head to take a look. It gradually emerges: #3 and #4. In #5 it has decided it is safe to start feeding. I think that #6 shows a touch of camera shake (I was hand-holding a long lens) but I like the examples of those very mobile ears. 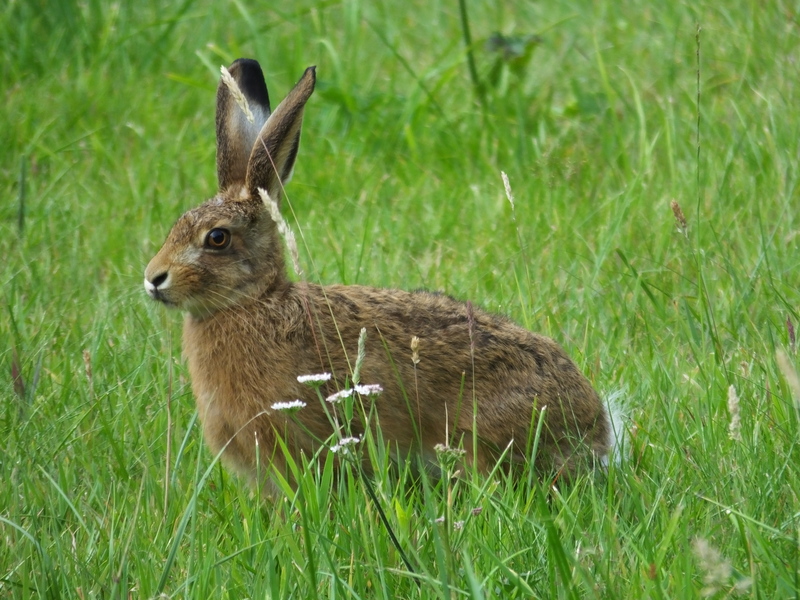 #7 shows the relatively long body compared to a rabbit. I took #8 when it was sufficiently trusting to be only a dozen metres from me. 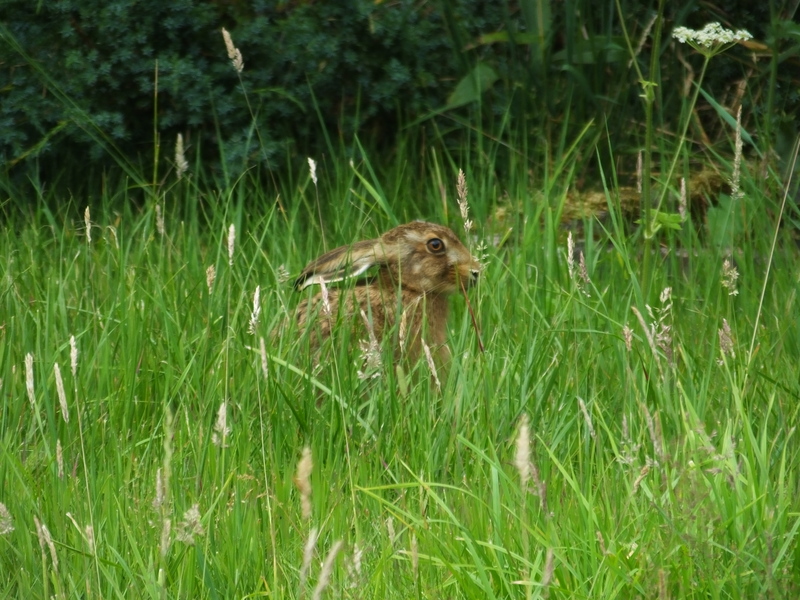 Incidentally, I am pretty sure that the three hares in the short film on the 30th are leverets. As a lagniappe (thank you PCC(E) for that word) and in recognition of recent posts about large broods, I have added the last photo, taken in Nairobi National Park. I counted 16 “chicks”, if that is an appropriate term for creatures about the size of adult gazelles. Not all are in the photo. This entry was written by whyevolutionistrue and posted on September 30, 2018 at 8:50 am and filed under birds, mammals, photography. Bookmark the permalink. Follow any comments here with the RSS feed for this post. Both comments and trackbacks are currently closed. Quite a lovely little garden beastie but those eyes! I can see why they were once considered witches’ familiars. Very interesting. Your patience with the hare has been rewarded. 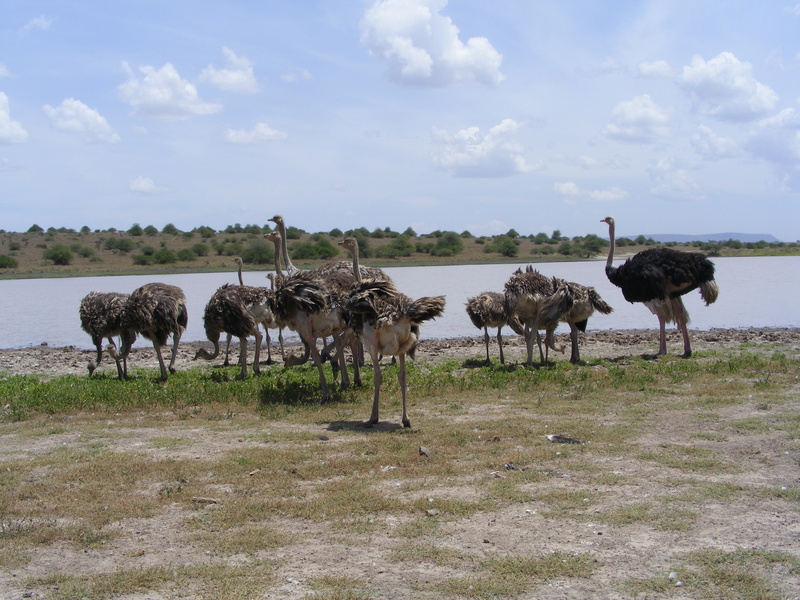 As I understand it, female ostriches will lay eggs in a communal nest. Thanks; I did not know that. Nice images. Rabbits are wonderful to watch. Especially when they frolic about, self-amusedly. The bulging eyes and narrow skull means they can see almost 360 degrees which means they’re always watching you. “…deploying its ears…” love that phrase. And what ears! I hope your back gets back to where it needs to be. As someone whose thrown their back out more times than I can count, I sympathize. 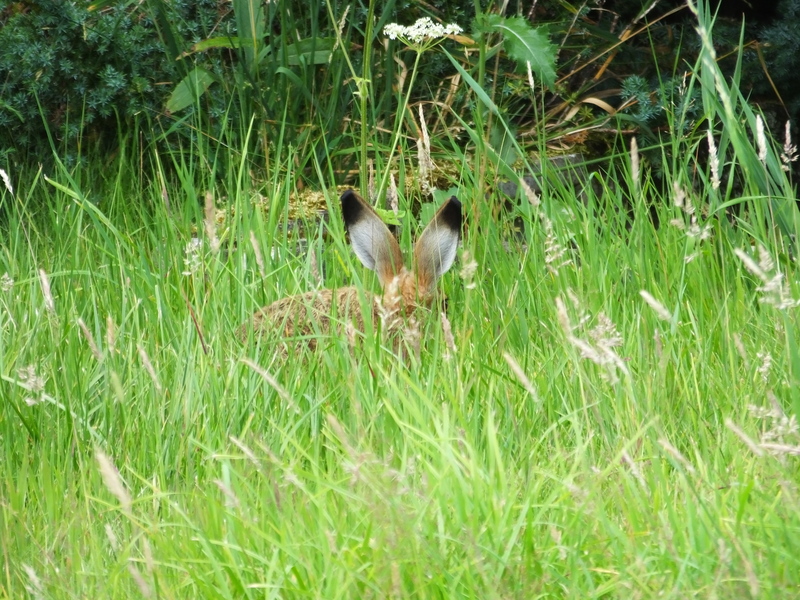 Beautiful long ears in the grass!